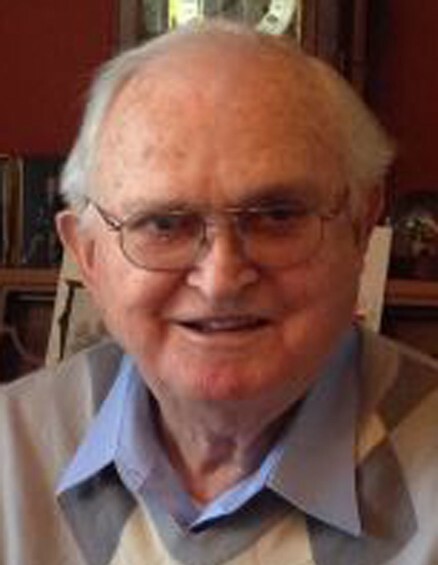 Lowell Thomas Lunsford, age 93, died on March 30, 2019 at Alamance Regional Medical Center in Burlington, NC. He was born in Orange County on August 21, 1925, and named for the famous broadcaster. At the time of his death, Lowell was a resident of the Village of Brookwood in Burlington. He was married to Alyce Creech Lunsford on September 10, 1949. She predeceased him on April 2, 1995. He was the son of Harvey Roberson Lunsford and Biddie Rountree Lunsford, both deceased. The fourth of ten children, his siblings included Alvada Emory (deceased), Alwilda Odom, Gladys Dimmick (deceased), Wendell Lunsford, Bryanoleene Lunsford, Eulalia Marchant (deceased), Delano Lunsford (deceased), Ousley Lunsford (deceased), and Franz Lunsford. In addition to four siblings, he is survived by his three sons: Lowell Thomas Lunsford, II and wife Julia of Chapel Hill, Mark Creech Lunsford and wife Karen of Burlington, and Greg Allison Lunsford and wife Wendy of Burlington; six grandchildren, Thomas Henry Lunsford and wife Mignon of Carrboro, Joseph Mark Lunsford and wife Louisa of Austin, TX, Cydney Lunsford Bates and husband Colin of Durham, Greg Allison Lunsford, II of Orlando, FL, Morgan Alyce Lunsford of Burlington and Holt Bradley Lunsford of Burlington; and two great-grandchildren, Delilah Rein Comer and Thomas Graves Lunsford. He is also survived by his dear friend of 20 years, Rae (Nugie) Bell of Burlington. Lowell grew up in Orange and Durham Counties, graduating from Lowes Grove High School in the midst of World War II as president of his class. He twice volunteered for military service, in 1943 and again in 1944, but was on both occasions rejected for medical reasons relating to his having suffered with spinal meningitis as a child. He consequently accepted employment with the Coca Cola Bottling Company in Durham which continued for several years. Not long after the War ended, he sought training and certification as a tobacco auctioneer, but that career was cut short when he agreed to go into the automotive radiator repair business with his new father-in-law, Sidney Creech, in Burlington. The enterprise formed by the two men in 1949, C & L Radiator and Battery Company, was a fixture in the commercial life of Alamance County for the next 70 years. 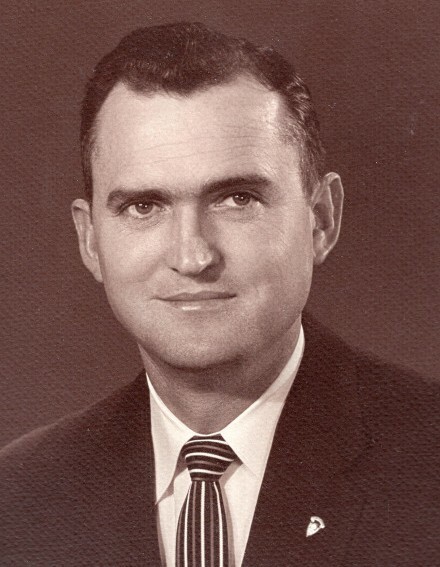 Lowell continued running the business alone following Mr. Creech’s death in 1967 and was its sole proprietor until his son Mark joined him in 1979. He finally retired in 2013 at the age of 87 when injuries suffered in a fall forced him to cease the physical labor essential to his trade. Throughout his career in the automotive industry, Lowell Lunsford was widely known for excellent workmanship, honesty and fair-dealing. His prominence in his field of endeavor was evidenced by his having been elected to serve as president of his national trade association, the National Automotive Radiator Service Association. Lowell Lunsford was very involved in the life of the community in Burlington. He was particularly proud of his service as a member of the Burlington Jaycees. He was president of the local chapter and a vice president of the state organization. He retired as a life member. He was active in Rotary, having served as president of the Burlington club. He ultimately retired from Rotary as a Member Emeritus. He was also an original member of the Burlington Housing Authority’s board of directors. Lowell had a lifelong interest in athletics. He was for many years active as a member of the Walter Williams High School Boosters Club and served as its president three times. In addition, he was a devoted member of the Rams Club and an enthusiastic golfer at Alamance Country Club. Finally, he will be remembered by many in the sports world as the owner and general manager of the C &L Radiator softball team which competed in Burlington’s men’s recreational league for many years during the last quarter of the 20th century. Lowell Lunsford was a dedicated Christian and churchman, having served the congregation of Front Street Christian Church (Disciples of Christ) in every conceivable capacity since he joined in 1949. An elder for many years, he was chairman of the official board on multiple occasions. The family would like to thank the doctors, nurses and staff at The Village at Brookwood and at ARMC for their kind and compassionate care. The funeral service will be held on Thursday, April 4, 2019 at 2:00 pm at First Presbyterian Church in Burlington officiated by Dr. Ronald L. Shive and assisted by Dr. Dace A. Lewis, Jr.. The family will be available to greet friends at the Church immediately after the service in Calvin Hall. Memorial contributions can be made to Front Street Christian Church in Burlington or to the Salvation Army Boys and Girls Club in Burlington.